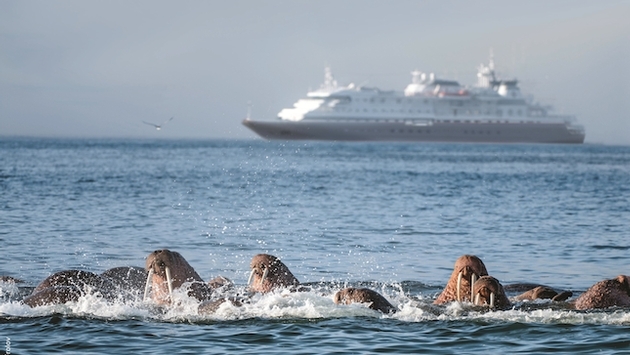 Silversea Expeditions, the adventure division operated by luxury line Silversea Cruises, is including round-trip economy airfare for new reservations on select Asia-Pacific voyages booked by March 31. Reduced business-class airfares also are available. The offer is available from select gateway cities in the U.S. and Canada. The 120-passenger, all-suite Silver Discoverer explores remote regions with destination lectures, photo presentations and daily recaps. Zodiac excursions and walks ashore are led by marine biologists, ornithologists, geologists, botanists, historians and anthropologists. The luxury expedition ship also offers gourmet cuisine, butler service and complimentary beverages, wines and spirits throughout the ship and in an in-suite beverage cabinet. As an example of the cruises included in the offer, the 16-day Southeast Asia voyage departing May 24 from Bali to Keelung is priced from $9,850 per person, while the 18-day East Asia and Russian Far East voyage departing July 2 sails from Otaru to Seward with fares starting at $14,250. For a list of eligible voyages, click here.